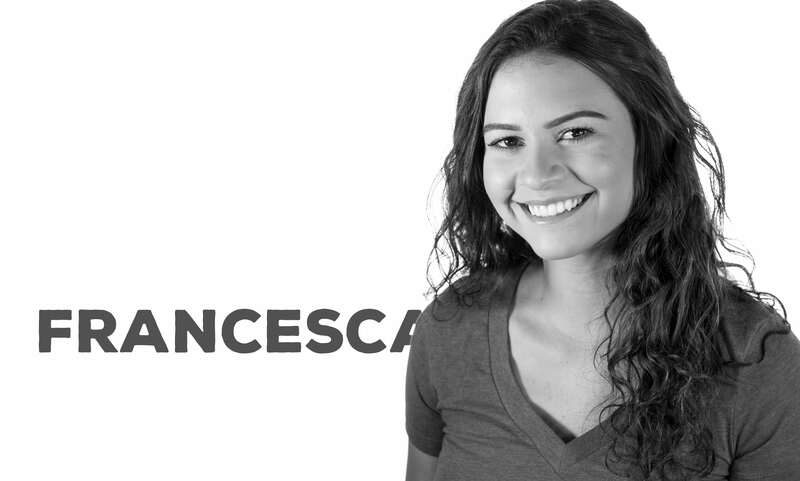 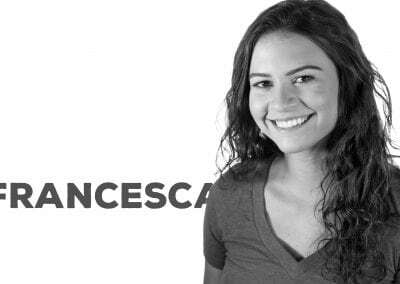 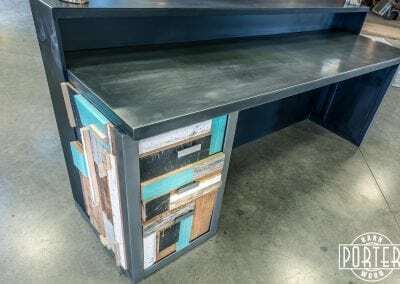 Our office staff was tasked with creating their own workspace desks. 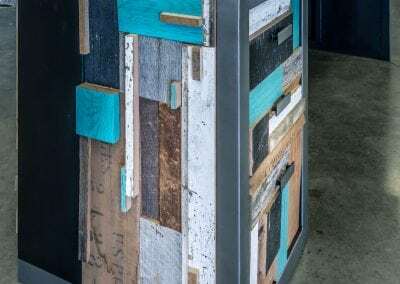 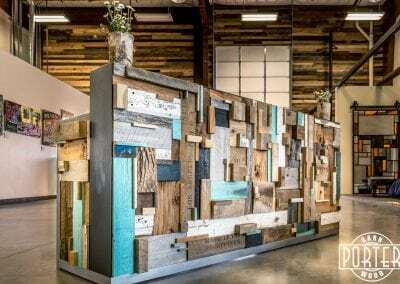 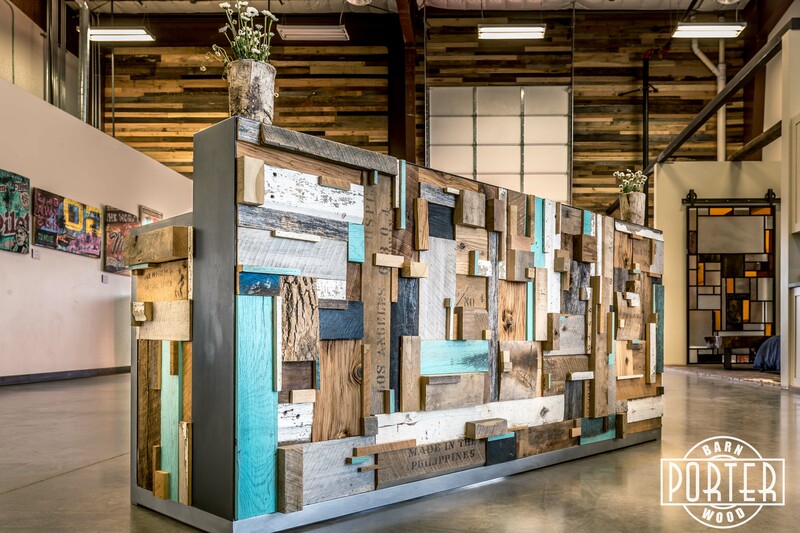 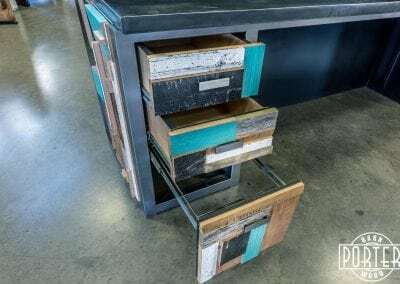 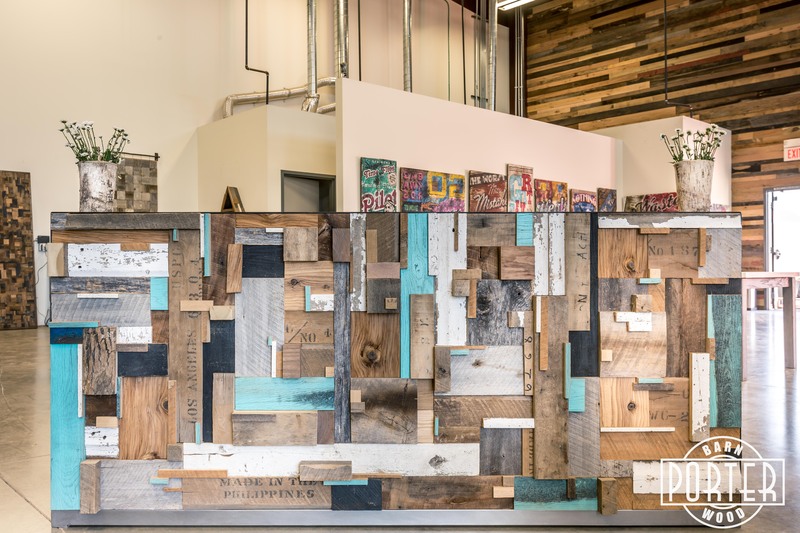 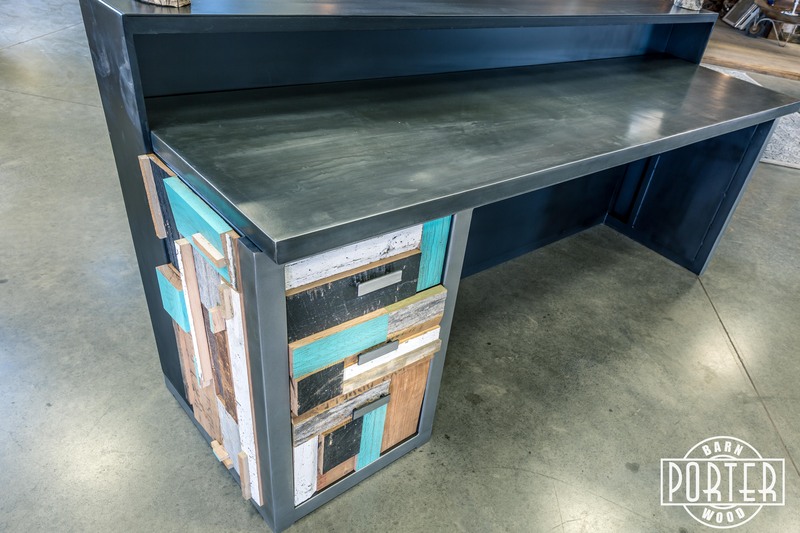 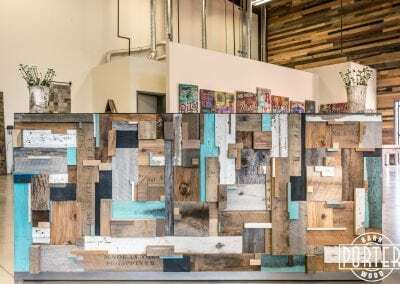 Frenchy came up with this design for the reception area which utilizes steel, zinc, and mixed reclaimed woods. 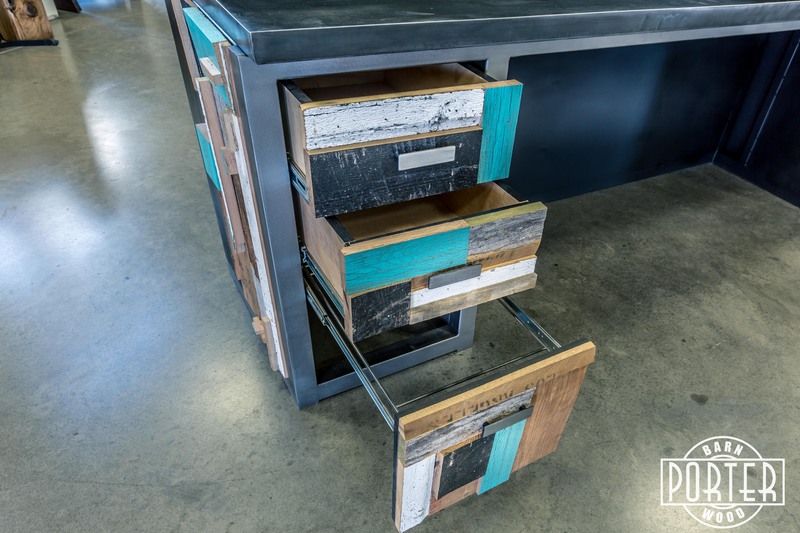 It’s complete with drawers and filing. 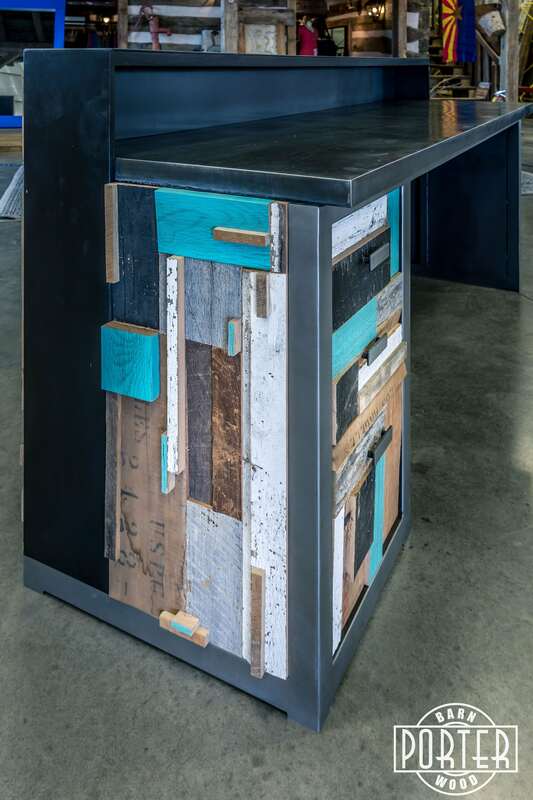 We currently use this piece in our showroom for the front desk.